Uniondale, January 28th, 2019 – Kathleen Deegan Dickson was quoted in The Real Deal for her representation of client Terwilliger & Bartone in the article, “Developer pitches Patchogue on $16M luxury apartment building.” The $16 million project, which has been dubbed the Cornerstone Waterfront at Patchogue, would include 55 boat slips, a rooftop clubhouse, a patio and a fitness center. Click here to read more. 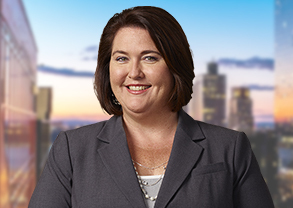 Kathleen Deegan Dickson concentrates her practice in the areas of real estate development matters, and, in particular, land use and zoning law. Kathleen has an extensive track record of success with municipal boards and agencies on significant projects throughout Long Island. Perhaps more importantly, she has a reputation for effectiveness and integrity in pre-hearing meetings and outreach to municipal planning staffs and civic groups that are now a must in Long Island’s current development climate. She is former counsel to the City of Glen Cove Planning and Zoning Boards, and currently represents many developers, property owners, corporations, and private individuals in all types of matters involving real property transactions, zoning, and land use.